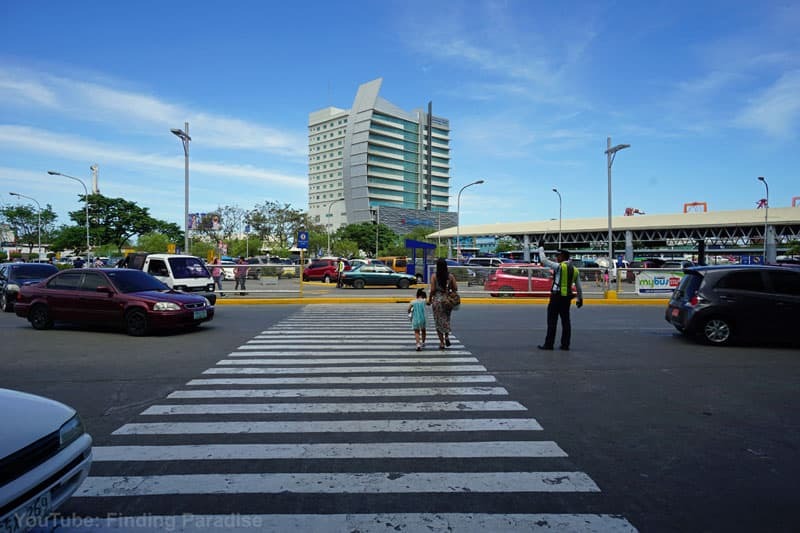 Cebu offers a gateway into the Philippines and is a great alternative to the chaotic Manila. You can connect onto other amazing places such Palawan, Boracay and Bohol. I've rounded up my favourite top 10 mid-range to luxury hotels in Cebu, Philippines and share videos tours of what it's like to stay in the city. If you have been watching my videos on YouTube over the years, you’ll know Cebu is my favourite places in the Philippines. Cebu has some fantastic places to visit. With amazing beaches on the islands of Bantayan, Malapascua and the Camotes. There is some awesome diving to be done, waterfalls to explore, canyoning adventures, mountains to hike and friendly locals. It's a great place for a tropical holiday. 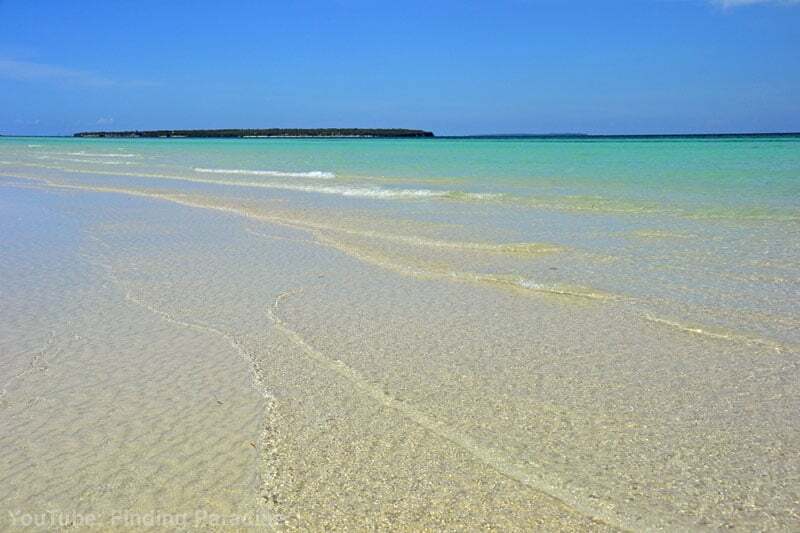 Bantayan Island is just one of Cebu's beautiful beaches. Cebu City is known as the “Queen of the South.” Here you can visit some of the most historic sites in the country, experience some colourful festivals, go shopping, try local cuisines or party the wee hours of the morning. 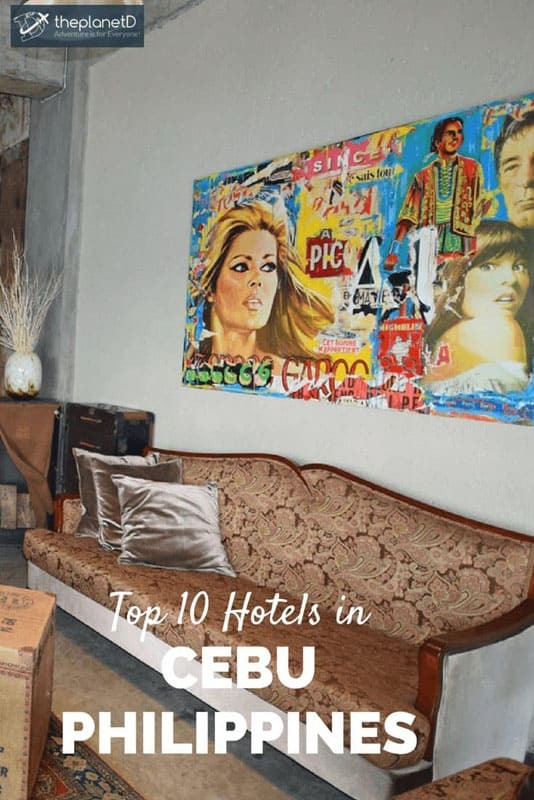 So if you are looking for a great place to stay Cebu this is my list of the top 10 hotels in Cebu, Philippines. In this list I’ve only includes mid to upper end hotels. The Best Wester Plus Lex is an 80+ room 4 star hotel complete with rooftop infinity pool. There's a ground floor restaurant as well as a small gym. 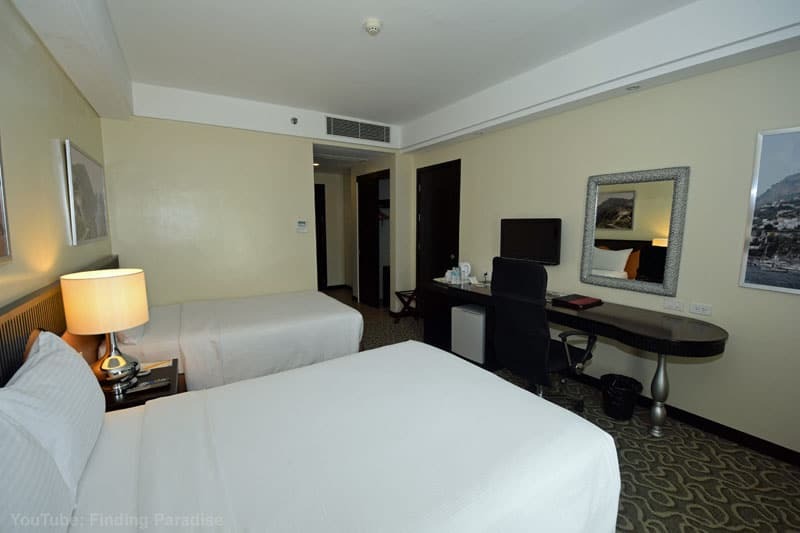 The Best Western Plus LEX is an excellent choice for your hotel stay in Cebu. What I like about this Cebu hotel is its modern comfortable rooms. The Best Western is a great place to relax in after a busy day. The rooftop offers great views of the city, especially at night when the city lights come out. Not only that, you can enjoy these amazing views from the rooftop swimming pool. If you are looking for a bit of indulgence when searching for hotels in Cebu, this is the most luxurious hotel you’ll find. The Raddison Blue is located right next to huge SM shopping mall for those who fancy a bit of shopping. If you plan to connect to places like Bohol by a ferry, it will only take a few minutes to get to the pier. This 5 star hotel is one of Cebu’s largest with 400 rooms, an outdoor swimming pool and their huge Feria restaurant. 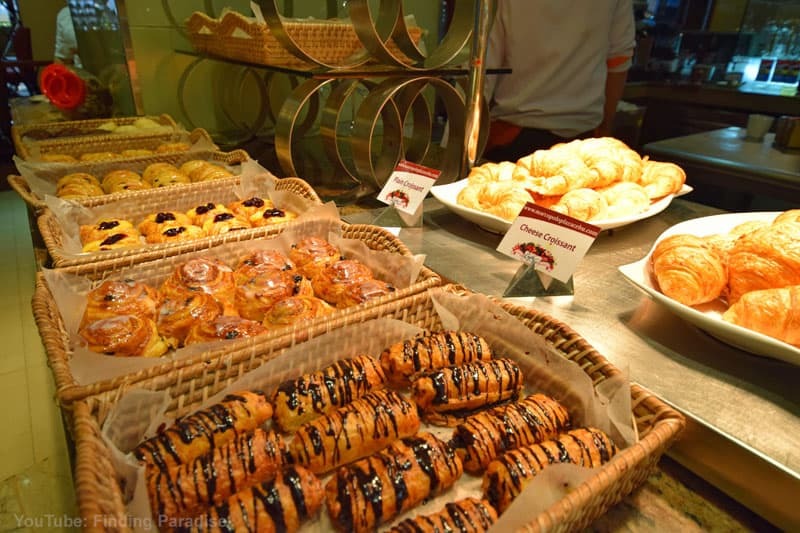 The restaurant serves up one of Cebu’s best buffets in town. The hotels rooms are elegant and chic. 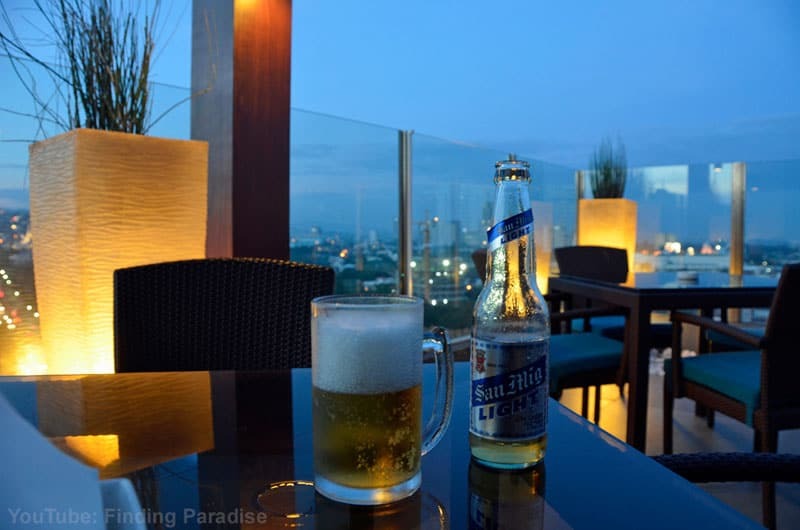 Watch the world pass at the rooftop bar at Harolds with a magnificent view of Cebu City fro Harold's rooftop bar. The rooftop bar at Harold's hotel Cebu is a real treat. Sit back and savour the warm balmy nights overlooking the city with an icy cold beer. If you want to shop, it’s less than a 10 minute walk to Ayala Shopping Mall. 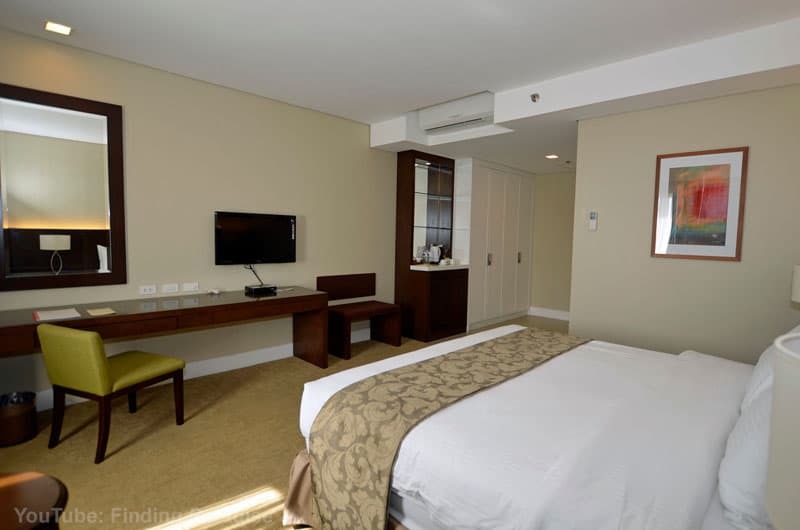 Harolds rooms are nice and clean with comfy beds offering a perfect nights sleep. 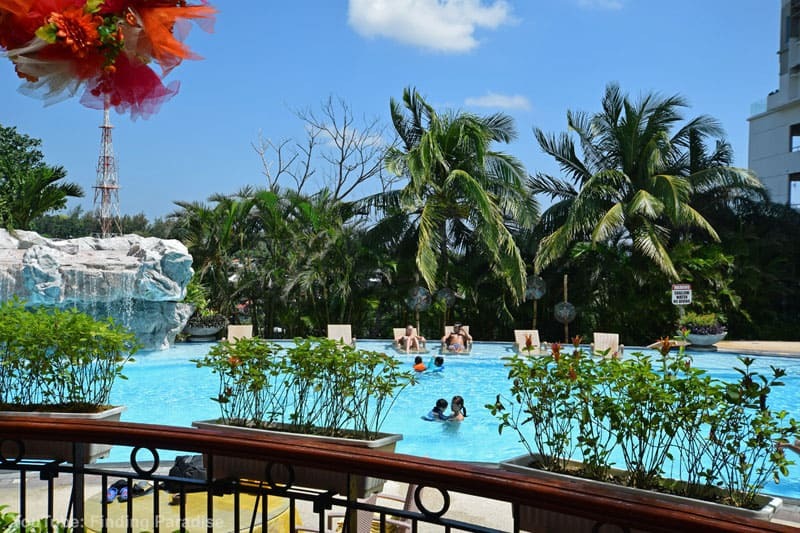 It's an excellent choice when choosing hotels in Cebu. This hotel has been synonymous over the years as one of the best hotels in Cebu. Video tour of Marco Polo Plaza hotel Cebu. 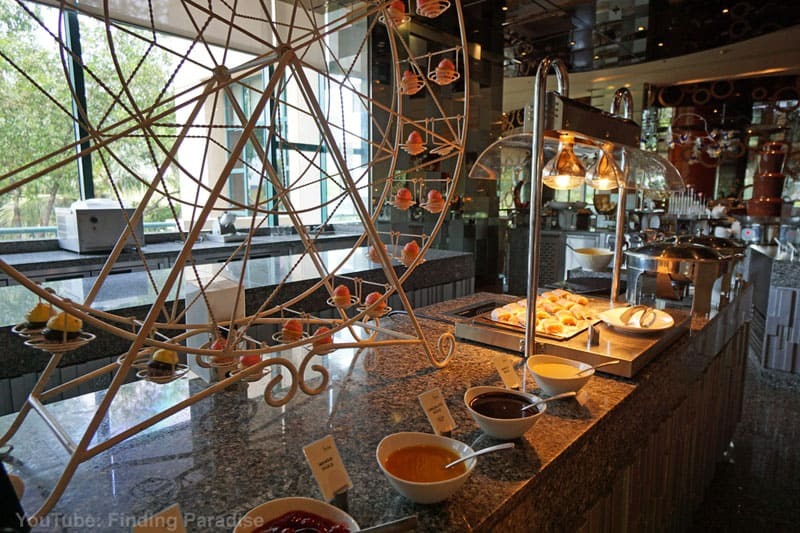 Its fabulous buffets are recognised as one of the city’s best. Perched a little up the Nivel Hills it commands arguably some of the best views (from a hotel) in Cebu City. When there, head up to its Blu Bar & Grill at night to see the lights of the city while enjoying some Cebu’s finest dining. 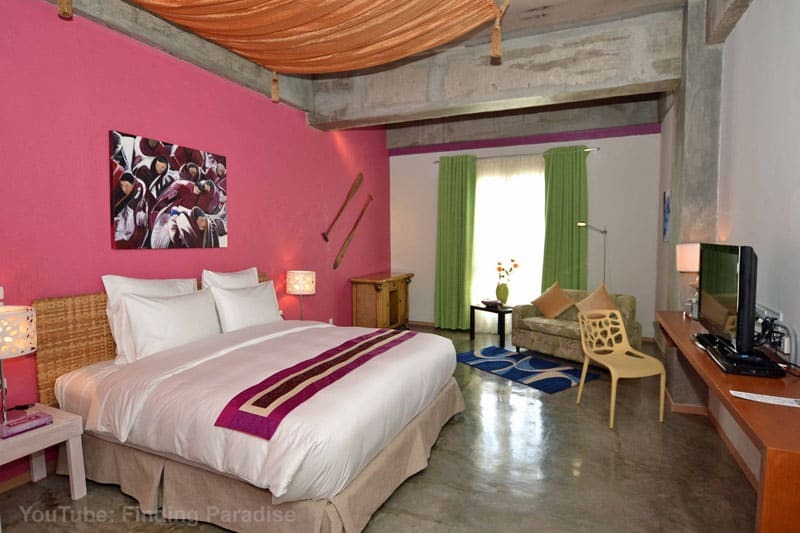 The rooms while a little dated, do offer great comfort and are a perfect place to spend your holiday. 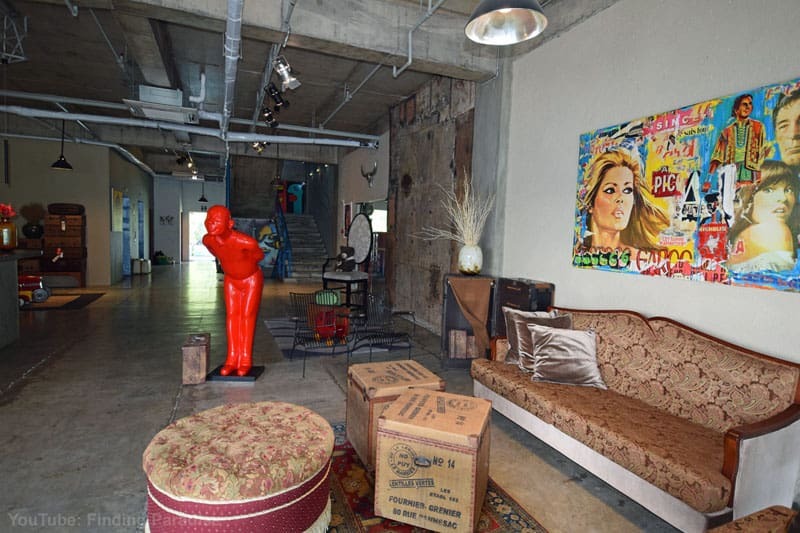 One of the funkiest boutique hotels in Cebu is the Henry. It has been wowing its guest for a number of years. From the moment you walk into the lobby, it will blow you away with its trendy art deco design. You instantly know you’re staying somewhere special. 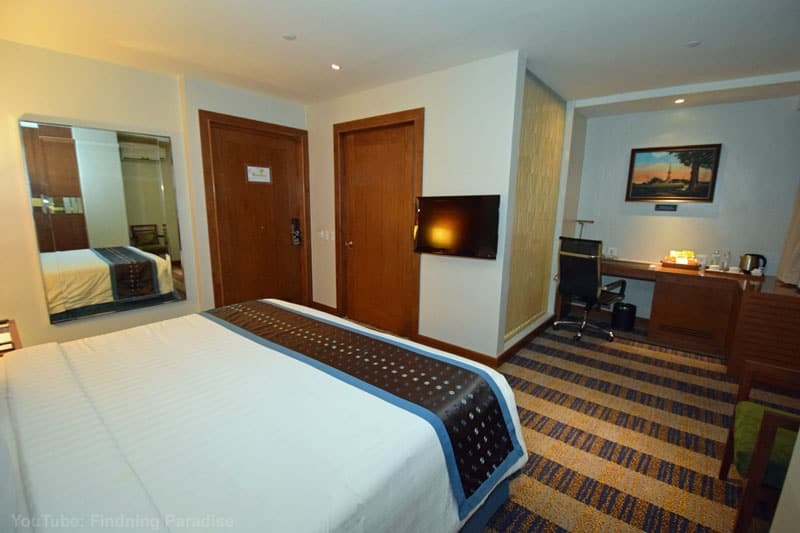 Each amazing room offers its guest a unique design and truly some of the best rooms you will find in Cebu City. Its restaurant serves up some incredible dishes and its outdoor swimming pool offers a great place to cool off from the tropical heat. My funky room at The Henry. Who wouldn't want to hang out in here? One of most popular hotels in Cebu is Quest Hotel. It not only has a fantastic location but it has superb rooms. They are stylish and clean. 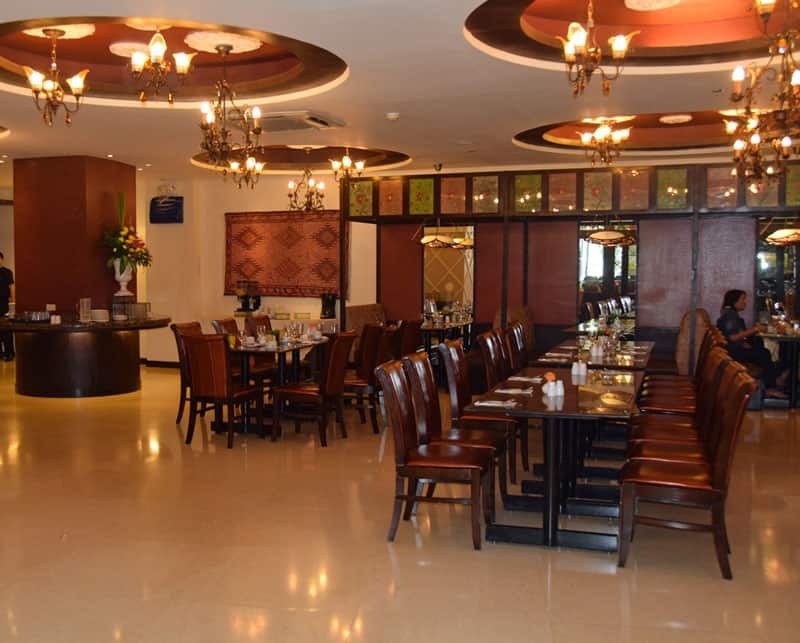 The hotel offers people a great place to stay whether on vacation or travelling for business. The Quest Hotel outdoor swimming pool is modest in size compared to other hotels. But is a pleasant setting for unwinding after a busy day of shopping. The Ayala mall is located just across the road. There is a restaurant on the premises but there are several nice restaurants within walking distance. 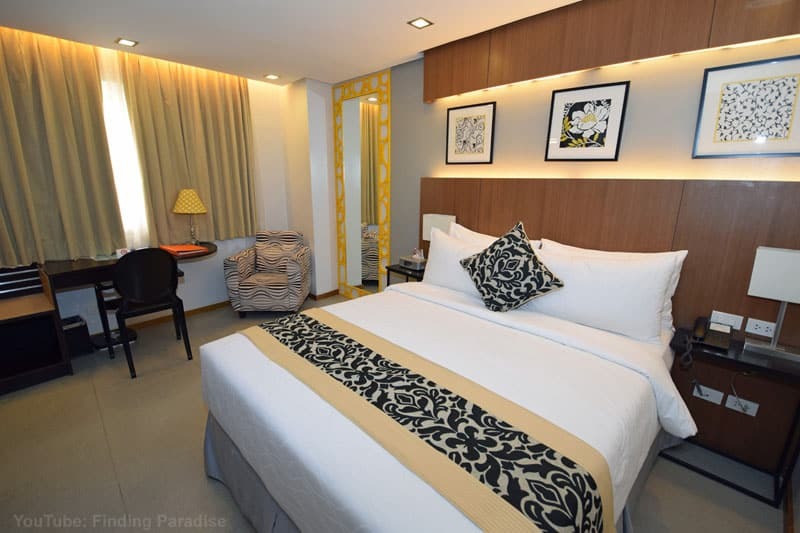 One of the “newer” hotels in Cebu is this 3 star property offering tourist a an affordable choice with modern facilities. It’s fairly close to the Radisson Blu Hotel (also on my top 10 hotels in Cebu list). While not in the same luxury category as the Radisson Blu, it great value. If you want to do some shopping, it’s close to SM mall with plenty of shops and places to eat. Another chain hotel brand of recognized worldwide for its quality is the Marriott. 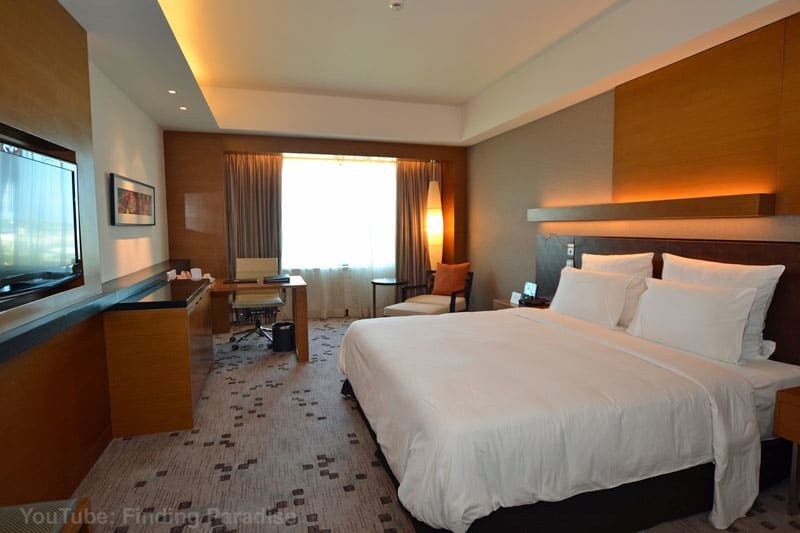 The Marriott Hotel Cebu offers an excellent place to stay in Cebu. It has a great location, located right next door to Ayala Shopping Mall. Personally I think Ayala is Cebu’s best shopping mall with its wonderful terrace area. You can see more of this mall on some of my other videos abut Cebu on my YouTube channel (Rob Brand). A more modest sized of the hotels in Cebu, the St. Marks Hotels has just 63 rooms. This 3 star property is a tremendous mid ranged hotel to choose for your stay. The rooms are modern and clean and a it is a nice place to stay at a good rate. St. Marks is located within walking distance to Cebu’s Mango area. Mango is popular district with nightclubs, bars and restaurants. Another one of my top choices for hotels in Cebu is the Hotel Elizabeth. Again, it is located in a great location within walking distance of Ayala Shopping Mall. There are many top hotels located in this area and I find it to be a great place to base yourself when visiting Cebu. Especially for those visiting Cebu for the first time. The Hotel Elizabeth rooms are nicely appointed, while the more upscaled rooms such as the Honeymoon Suite are impressive. There isn't a swimming pool at this hotel but for short stays or business it is a good choice. Overall, these 10 hotels in Cebu, Philippines are great options when looking for a place to stay in Cebu City. With excellent locations, amenities and style, I'm sure you'll find the hotel you need to make the most of your stay in the city. I’m Rob and do lots of video reviews of resorts and hotels in Cebu, Philippines and other islands where I give my advice about what to do and where to stay. Check me out on YouTube channel or follow my blog BeyondCebu. 9 Responses to "Where to Stay in Cebu Philippines – My Top 10 Hotel Picks"
For how long have you not been there? been reading the tripadvisor reviews and the complaints seem to have a common theme no matter the quality of the hotel. Quest and Bayfront seem interesting, but the reviews are quite bad, I am afraid. I wont mind to pay well for a hotel, but would not like to have my holidays ruined…. Hello Rob, I love Cebu and the beaches of Visayas. But, I can’t get enough of the beauty of Coron, Palawan. I’ve been to Coron several times and I thank UltimateCoronExperience.com for making my trips worthwhile. Thanks for these amazing list – all the hotels listed above are really amazing and beautiful. I personally been to most of them – Marco Polo, Radisson Blu and The Marriott Hotel before and I can assure you that it was top notch! The service and the area is of high quality. Also, I wanna add that Bai Hotel is also a best choice, although they have just opened recently, still they offers a great service and the surrounding are and view is luxurious and worth spending money for! Highly appreciate your list. 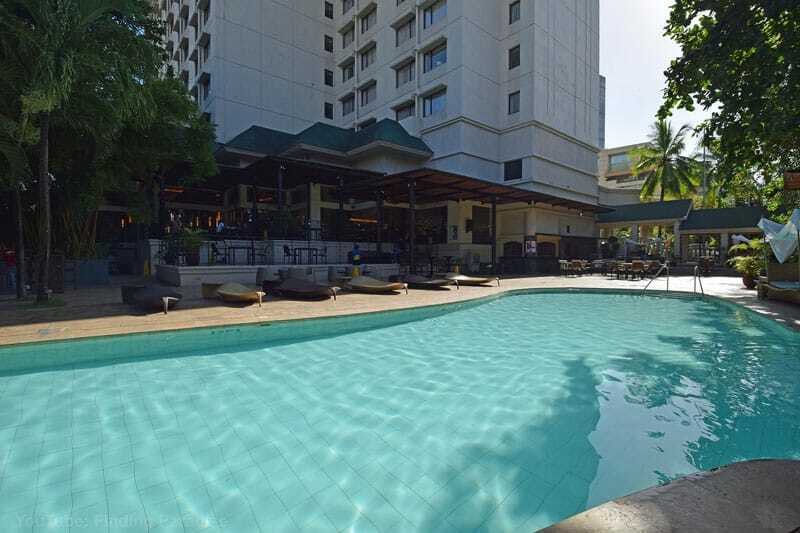 Your hotel you listing is awesome, special is The Quest Hotel Cebu. I will use 1 of this on my trip. The hotel with the modern artworks make my style! The pool at the Marco Polo Hotel looks outstanding! Thanks for all the travel tips.